Hey everyone and welcome to the last post of PokéMonth for another year! This is a post I’ve been looking forward to doing because it’s about something I’ve only discovered recently. So grab your magnifying glasses everyone, it’s time to dig into a mystery. In the games Pokémon X and Y, and Pokémon Omega Ruby and Alpha Sapphire, there is a feature known as O-Powers. These are timed power-ups that can boost various stats and features of the game, like increasing your over-all attack strength in battle, or lowering how much you have to spend in shops. You can use them by spending a certain amount of energy that comes back with time. Why am I telling you this? Because this new feature relies heavily in X and Y on a character known as Mr. Bonding. Mr. Bonding is the expert on O-Powers, and not only teaches you how to use them but continues to help you out by adding more to your collection. While Mr. Bonding is a very cheerful and fun character, he does have a strange origin story with a few surprises. In Pokémon Omega Ruby and Alpha Sapphire, there are five brothers named Giddy, Hipster, Bard, Trader, and Storyteller, who are in charge of giving you O-Powers. 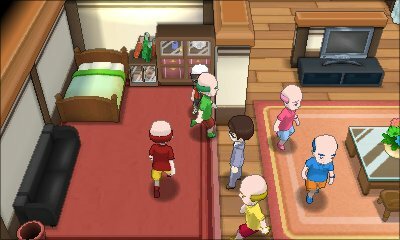 Last month I discovered that they have an apartment in upper Mauville city, and once you have met all of them, they congregate there. Now I forget the details, but long story short they ask the hero (us) if there is anyone we know of who needs help. We wordlessly tell them of the “Powerless Man” who lives across the hall. The brothers get excited and bring the man to their room. Why? Well, they have decided to pass on their own power to this “Powerless Man”, thus also passing on their life goal: giving O-Powers. And who is this man? Mr. Bonding himself! Now, all this is well and good, but there’s something important that must be recognized before we can get to the truth of this mystery. 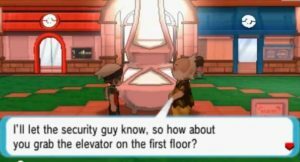 There is Mega Evolution in Omega Ruby and Alpha Sapphire, as well as a monument designed after Lumiose Tower from X and Y. 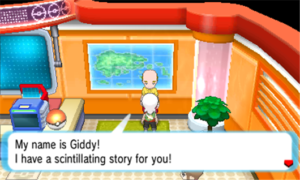 These features, including Mr. B here, were all introduced in X and Y. 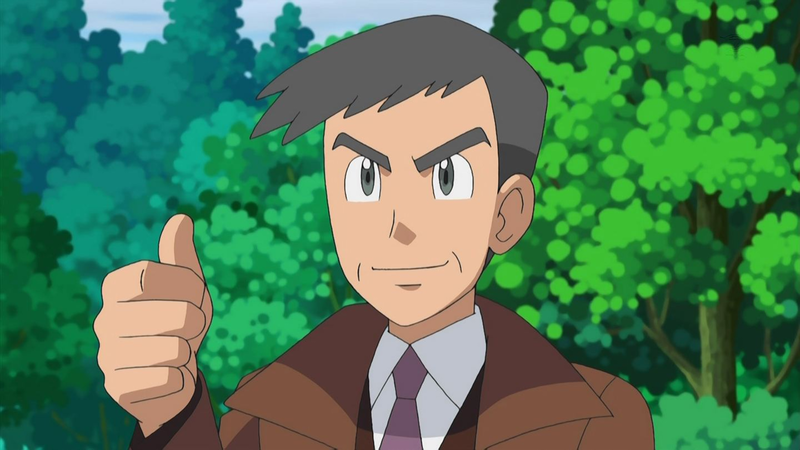 However, if Mr. B was created in Omega Ruby and Alpha Sapphire, that means that “OR” and “AS” must come before X and Y in the timeline. This also means that mega evolution wasn’t originally discovered in Kalos, as it may seem, since mega evolution was a thing before Mr. B was. I’m not sure exactly how large the time period is between “ORAS” and X and Y, but I don’t think it’s very long, because of the monument in Mauville city, representing Lumiose Tower. In a mini quest, we learn that the gym leader of Mauville city, Wattson, helped with the creation of the city (I believe he helped build the tower), so the monument is there to commemorate this (as far as I remember, I did this quests a little while ago). If this city was being built, that suggests that the two games aren’t that far apart in time.